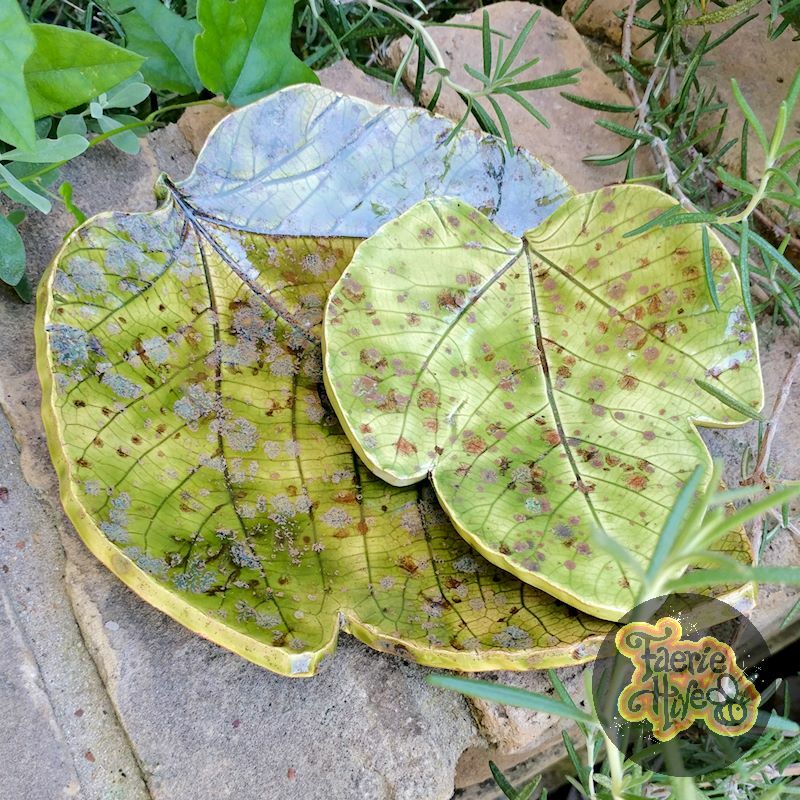 A set of two fig-leaf dishes, made from impressions of real fig leaves. The top is green with golden speckles while the bottom is a smooth olive color. * Measurements are not exact. This dish was handmade made from a natural plant, and as such has many natural variations.